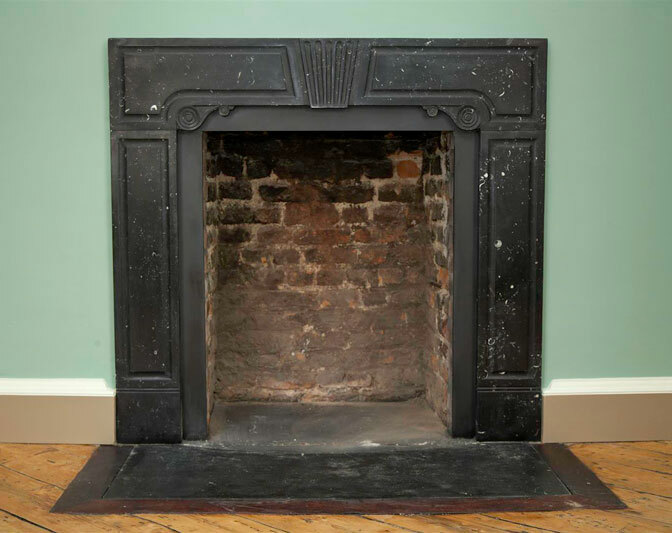 Ryan & Smith offer a full period fireplace restoration service. 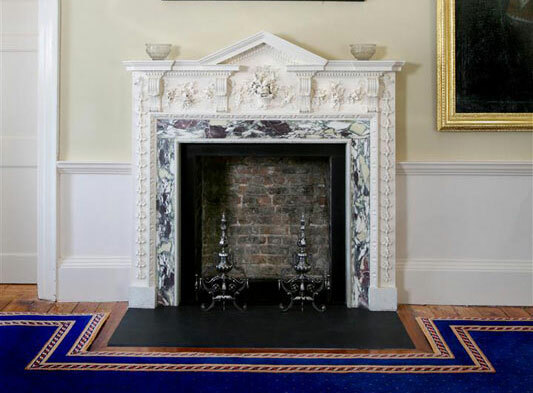 Over the past 40 years we have restored period fireplaces in listed buildings, parochial houses, monasteries, castles and National Trust properties throughout Ireland and the UK. 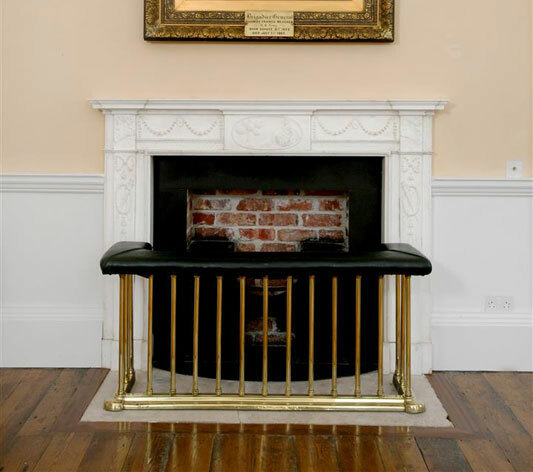 We have worked extensively in many 18th and 19th century houses including Hillsborough Castle, Co. Down, Bishop’s Palace, Co. Waterford, Castle Oliver, Co. Limerick, The Argory, Co. Armagh, Stormont Castle and many of the squares and streets of London, Dublin and Belfast. 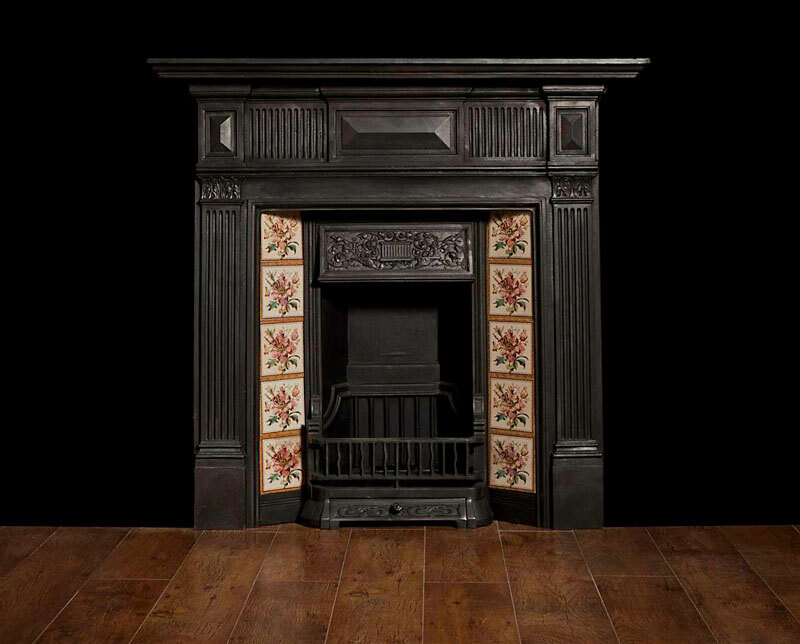 – Complete restoration of chimneypiece using desired material – wood, marble, cast iron etc. 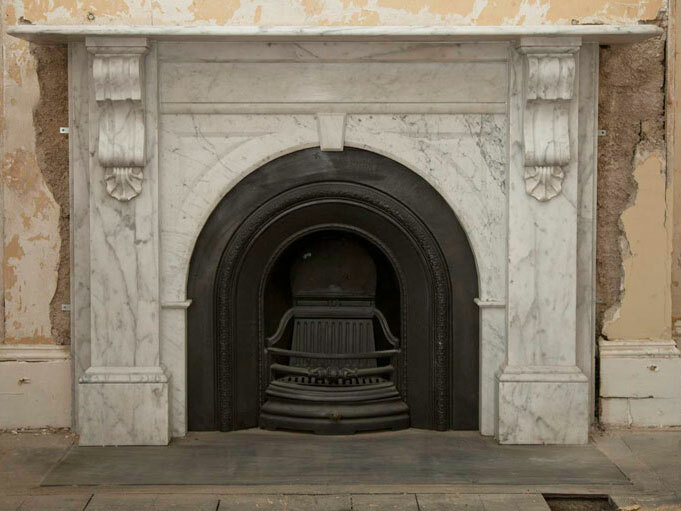 With marble chimneypieces we remove all stains, fill in chips and repair breaks. Any pieces damaged beyond repair can be replaced with new parts made from suitable old material which we have a huge stock of. Missing carved components can be recreated by our carvers, with reference to our huge library of plaster casts and drawings of period chimneypieces. 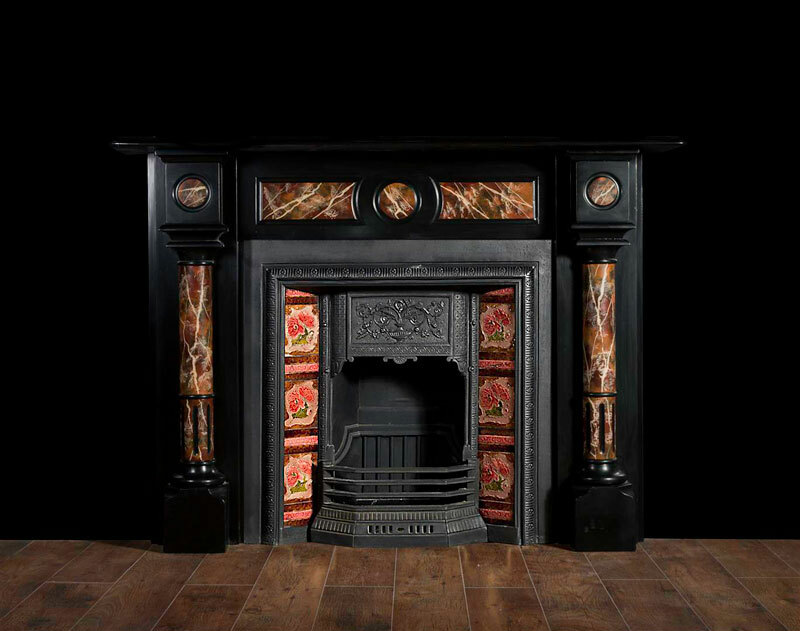 We reconstruct the chimneypieces the original way they were intended, using marble resin and polish using an antique marble wax. Click the images for illustration of the completed work.